We are very pleased to welcome Chiropractor Dr. Rebecca Wynn to our ACCEL Dartmouth team. Dr. Rebecca Wynn completed her undergraduate degree in Kinesiology at Acadia University before graduating in 2014 from the Canadian Memorial Chiropractic College (CMCC). Dr. Wynn is certified in Contemporary Medical Acupuncture, active release techniques, Sport First Aid and Complete Concussion Management. Dr. Wynn has worked with several sport teams and events (including football, hockey, soccer and rugby). 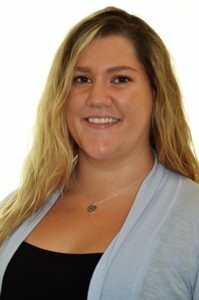 She utilizes a variety of treatment techniques such as soft tissue therapy, active release techniques, instrument assisted soft tissue therapy, electrotherapies, acupuncture, laser therapy, joint mobilizations and manipulations, as well as exercises in her practice. Dr. Wynn is currently accepting new clients into her practice.